The French can be unfailingly polite. No, really, I’m being serious. Yeah, yeah, yeah, everyone who has traveled to France comes home with some story about a rude Frenchman or Frenchwoman who treated them horribly and worse, seemed to enjoy it. It’s almost like we look for those moments now: it’s a rite of passage. We need a commemorative “I survived talking to a French person” T-shirt. Yet the truth is, there is much politesse in the French culture, we just don’t understand it because their social rules are different from ours. I’ve witnessed arguments between strangers where despite the obvious disagreement, they continue to address each other as “Madame,” et “Monsieur.” Usually without sarcasm. Ever had a homeless person hop onto your metro car to ask for money? Their speeches often mirror each other, and usually begin with a grand, “Mesdames et Messieurs, pardonez-moi de vous deranger.…” Translation: Ladies and Gentlemen, please pardon me for bothering you…. Even the term used for the homeless is more dignified than the word “homeless.” It’s SDF, or “Sans Domicile Fixe.” Translation: Without a fixed home. Whenever I travel to France, it’s as if a flip switches in my head and I go into French mode. Things that would drive me crazy here become tolerable, because I’ve spent enough time there to understand why things are as they are, and to better know what to expect. When entering a store, always greet the shopkeeper with a “Bonjour.” While here in the US it’s not uncommon to enter a store without acknowledging, or being acknowledged by, the employees there, in France it’s considered incredibly rude. Same for leaving. Make sure you say, “Au revoir.” Toss in a “Bonne journée !” or a “Merci !” for good measure. Try out some French, even if it’s only to say, “Pardonez-moi, mais je ne parle pas Français. Is it okay to speak English?” After all, the French have grown tired of people walking up to them and barking out a foreign language. I know I’d grow tired of it. I’ve been scolded by patients incensed that I don’t speak Spanish fluently, and that never brought out my benevolent side. Ease into the conversation, and the French are much more likely to be okay with speaking English. Personal space there is very different from here; the French require much less of it. So if someone is bumping right up against you without acknowledging that they’ve jostled you, don’t take it personally. It’s all normal for them. Chances are, the waiter is not ignoring you. The French like their meals long and uninterrupted. Unlike the US, where tables must turn over quickly in order for the restaurant to make money and the waiters to make adequate tips, in France, if you reserve a table, it’s pretty much yours for the night. A waiter won’t bring your bill unless you ask for it. To do otherwise would be rude, the equivalent of asking you to leave. Just because the French person you’re speaking with isn’t grinning and enthusiastic, it doesn’t mean they’re annoyed with you. Well, they might be. But it’s more likely that it’s just a cultural thing: the French don’t grin and get enthusiastic in conversations with strangers. They are more reserved and tend to hold back until they get to know you. Give them a chance to warm up and you may end up making a great new friend. I’ve been told by my European friends that they knew I was American because I’m always smiling. I see this as a good thing, but I’ve also come to realize that the huge grin that comes so easily to my face is hardly a universal trait. Ladies, enjoy the French version of customer service. I posted on this previously, here. Now’s not the time to go indignant feminist – let those shopkeepers flirt with you and treat you like a queen for a few moments. It’s really fun. As for forming lines – they aren’t going to do it. This is one of the areas I have the hardest time with in France. After being shoved around trying to claim my coat at the counter after parties, swept past repeatedly while waiting in line for a toilet, and literally shoved off metro cars, I finally realized I had the necessary skills to survive, all learned during my years of playing basketball. It’s all about claiming space, blocking out, and moving toward the ball, or as the case may be, the toilet. Don’t be afraid to get wide, or even throw out a forearm to ward someone off. When it comes to lines in France, expect nothing less than pure Darwinian survival of the fittest. Another tip: get out of Paris. Paris is gorgeous, stunning, there’s tons to see and do, but it’s still a big city. And like any big city, people are in more of a rush, stress levels are higher, people are more closed off to outsiders, and fatigued of tourists. That’s not to say that pleasant Parisians don’t exist – they absolutely do. But if you want to experience a little more joie de vivre, more bienvenue, hop on a train for the countryside. I hope your next encounter with a French national goes smoothly. If all else fails, a French shrug (see this post here) and a resigned, “Eh ben,” are perhaps the best responses. Try a visit to Provence. Beautiful country, friendly locals! This entry was posted in Uncategorized and tagged Bilingual, France, Francophile, French, French Etiquette, French Language, French People, Learning French, Paris, Provence, South of France, Traveling by A French American Life. Bookmark the permalink. Ah, the “boxing out basketball style” when queuing,… I do not miss it ! Great post. One of the things I always explain is that Paris is always in the top 10 of the most visited cities, and it is small, a little over 40 square miles. Tourists are plentiful. One of the main things Carole talked about is start by making an effort to say in french that you do not speak the language, do not worry about butchering it, it will be perceived as a sign of respect, and ask if they speak english, 99% of the time, you’ll be fine. And Carole is right also to say, see outside those 40 square miles, people are less stressed and the countryside is beautiful and has lot of variety to offer for a small country. Last, Parisians are rude in general compare to the rest of France. Merci for your insight, Patrice! So true that Paris is packed full of tourists. Understandable, as it’s an amazing city, but as you point out it’s very dense, so it can be hard to get away from the tourists, which can be tiring. Thanks for the tips you share about French. Can you also write tips about riding bike in Paris? Hi, thank you for reading! I wish I could write a post about riding a bike in Paris, but I haven’t done it. The traffic there is too scary for my taste. I’ve done a lot of bike riding around Bretagne, though, where trails abound and traffic is often minimal. 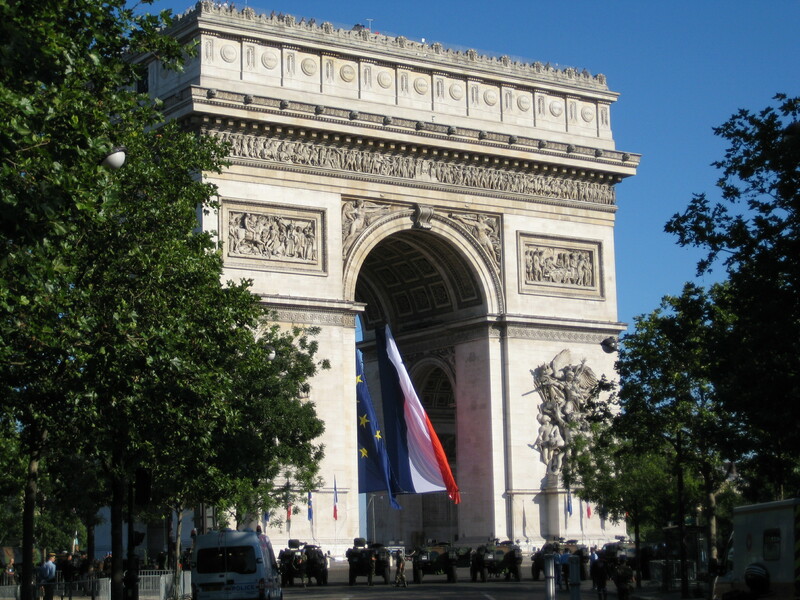 I have been to Paris twice and will be going to the Provence area for the 2nd time at the end of this month. I have to say, Paris is fun…for about a week or so…but the countryside…I’m thinking of a move there some day. Absolutely beautiful, the pace is slow and the people, if you make an effort to speak French, are really very nice. Have a great trip! 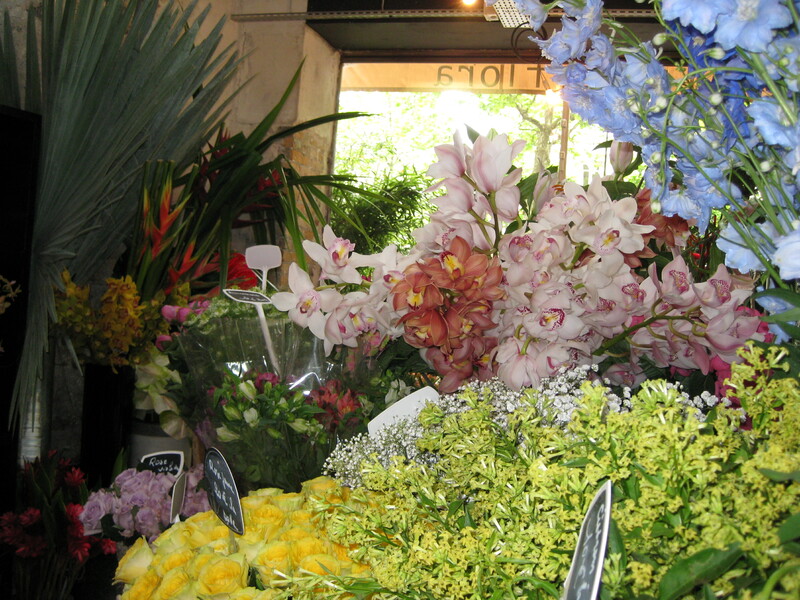 Provence in the spring- should be fabulous! I can’t get over the line cutting either! Maybe it’s because I grew up with the southern hospitality mentality, or because it was a huge pet peeve of my dad’s, but to me lines are sacred! But I completely relate to the survival of the fittest mentality you described. I’ve spent many a morning in the prefecture line boxing out encroaching French space hoarders. Line cutting aside, I do think it’s always important to understand where other people are culturally coming from. Interesting post! Lines are sacred to me, too. I didn’t realize how cultural that was until I started traveling and saw that not everyone forms a line. Lines are so practical, so fair! I get so stressed out and irritable in France over this one, and I fear I’ll never understand! There is a great program called velib in Paris. It’s a city owned bike rental with places all over the city to get one and give it back. But Carol is right saying riding a bike in Paris is dangerous, after 2 nearly fatal accidents in less than a month, which was unlucky, I decided to go back to the metro and the bus. But Paris i really really nice on bike. Thanks, Patrice! Wow – I didn’t know about those accidents. Next time I see you I want the stories! Your post made me smile, everything is true! Especially the inability to form lines: the first time I took the tube in London, I was amazed by the British self-discipline… in Paris, everyone is rushing in the “métro” as soon as it arrives, “chacun pour soi”! I spent three years living in France and really identified with a lot of the things that you mentioned. I guess what it boils down to is that different countries value different things when it comes to deciding what counts as being polite. What you say about getting out and seeing more than just Paris is so true. I do love Paris in a lot of ways, but I’ve really enjoyed exploring provincial cities and rural areas all over France. Nice – I bet you have a lot of good stories! I’m growing to love Bretagne more each visit – it still has an untouched nature about it, especially in the small villages. 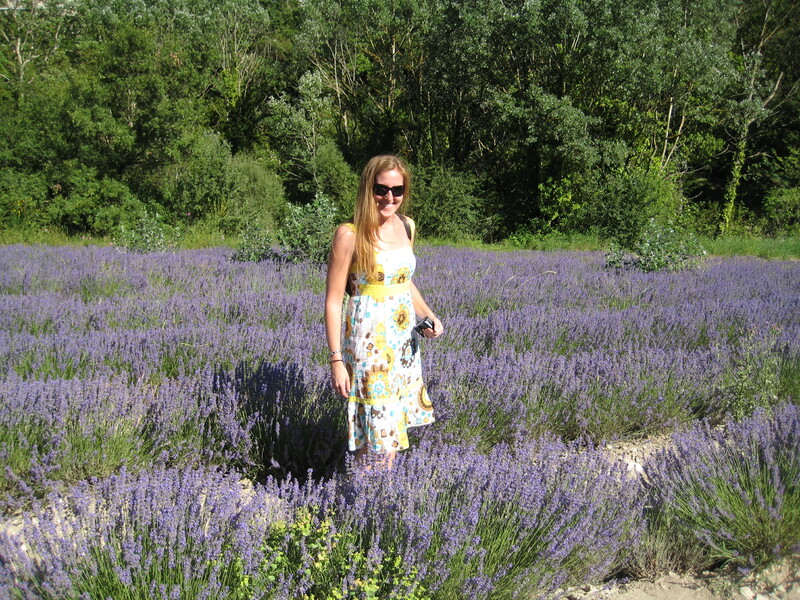 Provence will always have a piece of my heart, too. Next on my list to explore is the Southwest. Yes – I love Provence too. And I avoid Marseille! I’ll be interested to hear what you think of it! I’ve spent very little time there, and that little time is perhaps not the best example of Marseille. I LOVE Avignon and Aix – enjoy! Here’s what struck me about the French “politesse”: One of the textbooks I used to teach out of had little dialogues that introduced the current vocab and grammar points. One dialogue opened with a distraught woman (who had just been mugged) addressing a police officer. Thank you for reading! Glad you found me. As for queing, I grew up in Kiev. Here no rules or politness takes place in rush hours. And all shop sellers are grumpy and no one pays attention to you, sometimes on purpose. Glad to hear you’ve had some good experiences! I think it probably helps that you are female, and not American 🙂 I suppose it’s all a matter of perspective, too; depending on what you are accustomed to dealing with. Thanks for reading! This was such a great post! Thank you for explaining a lot of things we might not understand about French culture. I really relate to the whole ‘going into French mode’ as you described. When I am in America, I know how to act, and when I come back to Japan, I know how to turn on my ‘second self’ as it were. Even just switching languages when talking with different people, I notice a change in myself. The cultural aspects are engrained in the language. Things that would bother me if they happened in America are forgiven when I am my ‘Japanese self’. I think that’s why I have a big problem when people in America getting offended by people speaking their native language in public (i.e. Spanish)… I know how it feels to want to explain something easily and more freely in English when I am with someone who understands it, even if the person is Japanese. And when I am in America with my Japanese friends, it is easier to connect with them when I speak their language. We become different depending on where we are and what language we speak. It is fascinating but so hard to explain. Probably because we don’t even fully understand it ourselves. Looking forward to your posts from now on! Thank you so much for reading! Glad you could identify with the separate versions of self- I think anyone who spends time in another language/culture probably experiences the same phenomenon. It is sad that some Americans are offended by languages other than English being spoken on our soil. I think it’s sometimes xenophobia, sometimes lack of exposure to other cultures, and sometimes just ignorance. Depending on where in the US you travel, there are places where people are delighted to hear a foreign language!